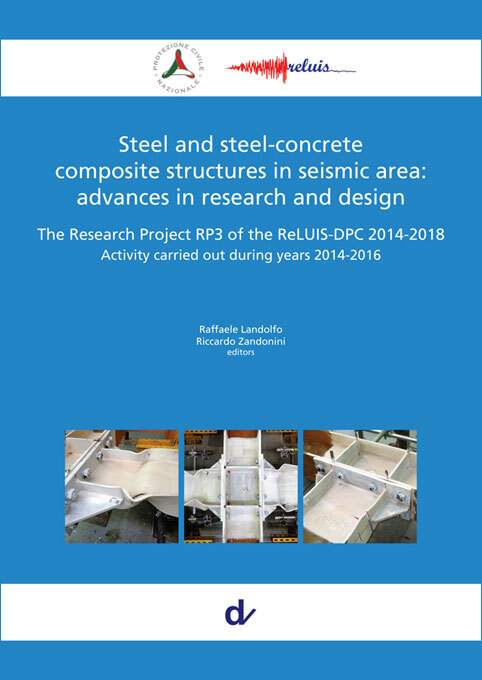 This book collects the main outcomes of the research activity carried out within the line “Steel and Steel-Concrete Composite Structures” of the ReLUIS project 2014-2016 (Italian Civil Protection research project), which was chaired by Raffaele Landolfo and Riccardo Zandonini. Ten research units were involved in the scientific programme coming from the following Universities: Napoli “Federico II”, Salerno, Pisa, Sannio, Marche, Campania “Luigi Vanvitelli”, Chieti-Pescara “G. d’Annunzio”, Trento, Trieste and Genova. The research line was mainly devoted to the development of innovative approaches for the design of steel and steel-concrete composite buildings. Starting from the outcomes achieved during the previous ReLUIS project, novel results were obtained in the last years that are herein presented considering the four main investigated area, which are: steel and steel composite beam-to-column joints, conventional steel and steel-composite buildings, non-conventional steel buildings, steel and steel-composite bridges.